Home renovations have been on the rise, with 53% of homeowners agreeing that right now is the best time to invest in home renovations. 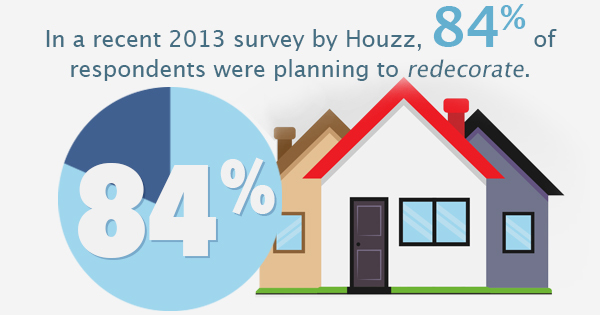 In a recent 2013 survey by Houzz, 84% of respondents were planning to redecorate, 40% were planning on remodeling, and 10% were in the process of building a custom home. But where should a homeowner start? Well, why not the attic? On average, attic bedroom remodeling projects have an overall return on investment of 79.4%. For when you’re planning on renting out space, or just looking for extra room, an attic bedroom remodel can be a smart investment. Whether you’re planning on doing it by yourself, or hiring design and build contractors, here are a few things to keep in mind during your attic renovation. Before you can start work on your attic remodeling, you have to first check to ensure that you are legally able too. A livable space needs to have at least two ways out, such as a stairway or window. In addition, the ceiling must be a certain height to be considered usable. If your only access to the attic is through pull-down stairs, you will have to install a stationary staircase before it is legal to live in the attic. If you are unsure whether or not your renovations will meet building codes, have it looked at by professional design and build contractors. Bedrooms need all the proper hookups in order to create a comfortable living space. This includes the addition of electrical outlets, heating, and cooling vents, and any other services in your home, such as cable or Internet access. In order for an attic to be comfortably livable, you will need to provide proper insulation padding. Since the attic is directly below your home’s roof, it will lose heating and cooling faster than other rooms in the house. This can lead to an unnecessary increase in your heating and cooling bills and can make your new bedroom fluctuate between uncomfortable temperatures.